Coat the meat in 1/4 cup of cornstarch until lightly coated. Heat the ¼ cup oil in the wok over high heat until almost smoking hot. Add the beef and spread the pieces evenly in the wok, and let sear for 1 minute. Do not overcrowd the wok. Turn over and let the other side sear for a few seconds. Drain the oil leaving about 1 tbsp. Add the garlic/ginger and fry for a few seconds. Mix the soya sauce, chicken stock, and brown sugar. Add to the garlic/ginger and bring the sauce to a simmer, and stir until sugar dissolved. Stir in the cornstarch slurry mixture until the sauce thickens. Add the beef and half the spring onions and toss until coated. Garnish with remaining spring onions. Plate and serve with steamed jasmine rice! 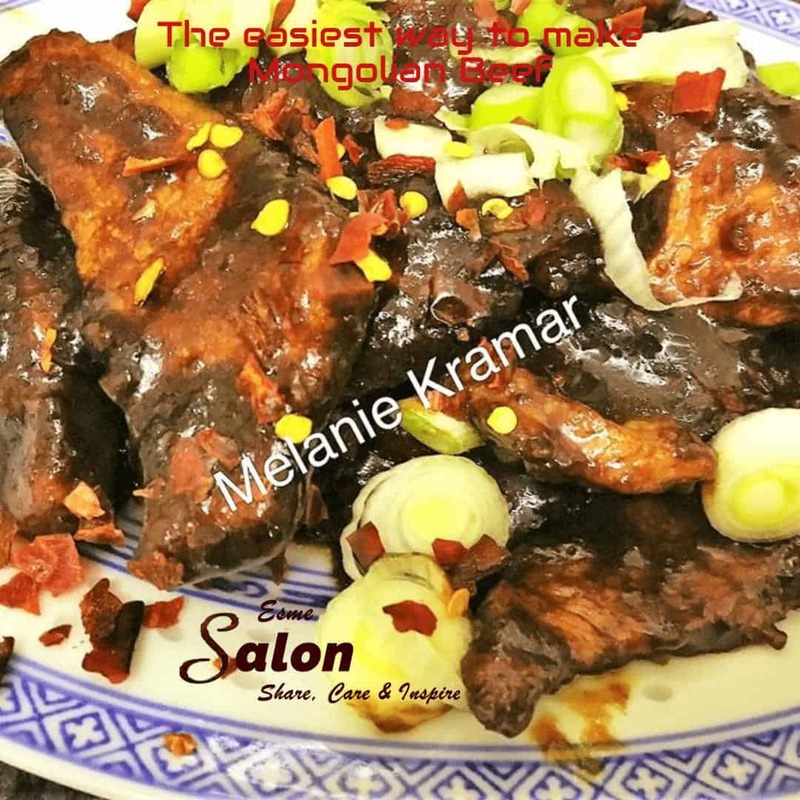 Mongolian beef is a dish served in Chinese-American and Chinese-Australian restaurants consisting of sliced beef, typically flank steak, and stir-fried with vegetables in a savory brown sauce, usually made with hoisin sauce, soy sauce, and chili peppers. The beef is commonly paired with scallions or mixed vegetables and is often not spicy. The dish is often served over steamed rice, or in the US, over crispy fried cellophane noodles.